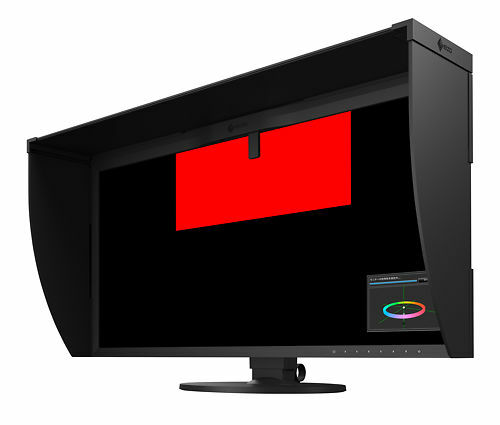 If you're new to colour accurate monitors, start here to know what to look for, and why. 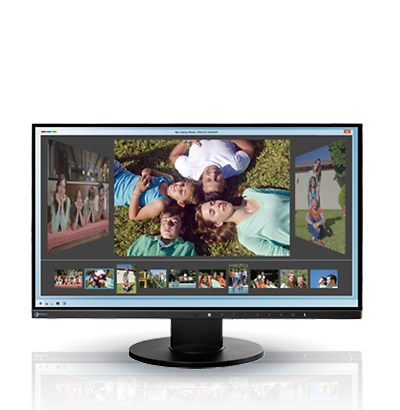 Monitors have become the single most important tool in the modern imaging workflow. We've worked hard to become Australia's high end monitor experts. We're the only company to carry all the major brands in this area - Eizo, BenQ and NEC, and we have developed excellent relationships with these companies. 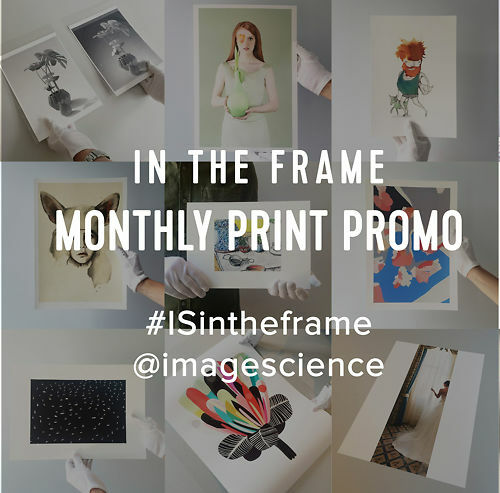 We offer unbiased advice on all brands and love to sit down and help our clients make the right investment in what has become perhaps the single most important tool in the modern imaging workflow. We're based in Melbourne but we supply and support monitors to image makers all over the country. These monitors are the Best of the Best for still image work. If you really love colour, want unparalleled accuracy, and ease of use, then these are the monitors for you. 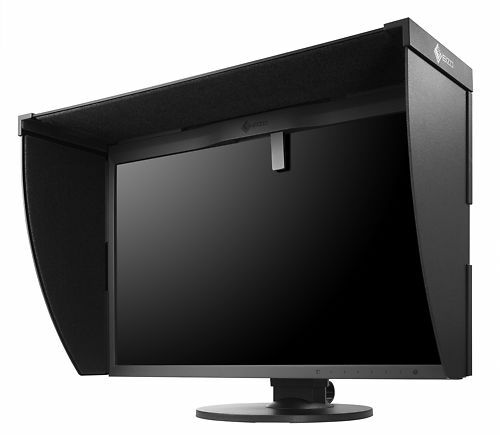 These Eizo CG monitors have fully automatic direct hardware calibration and an inbuilt full calibration sensor. You can set this up once (takes about 10 minutes) - and then sit back and enjoy your monitor for the next 5+ years as it self-calibrates with absolutely no further intervention required. It can even do this in the middle of the night so it doesn't interrupt your workflow! It simply doesn't come any better, or easier to use, than this. Eizo don't currently make a model larger than 27", other than their very expensive 4K model, so we've also included BenQs best larger model as the best of the large screen options at a reasonable price...but do note it's obviously not in the same league as the Eizo CGs, so we recommend sticking to 27" unless you absolutely need a bigger size, or 4K. Personally, I consider the Eizo CG279X the finest monitor Eizo make for general purpose imaging use. I find it more comfortable than the 4K models where you can still hit tiny text issues, and the colour accuracy and ease of use is quite simply as good as it gets. A great 24" monitor complete with inbuilt calibrator - perfect for all serious image makers! 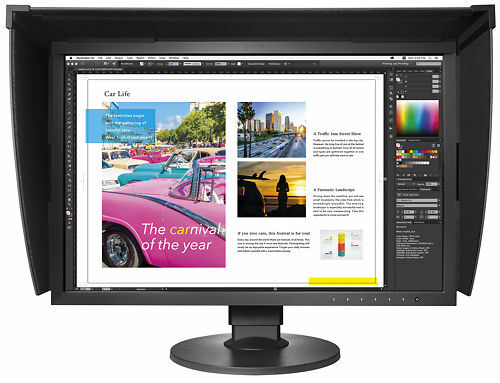 Premium 27" monitor ideal for high quality photo & illustration work. 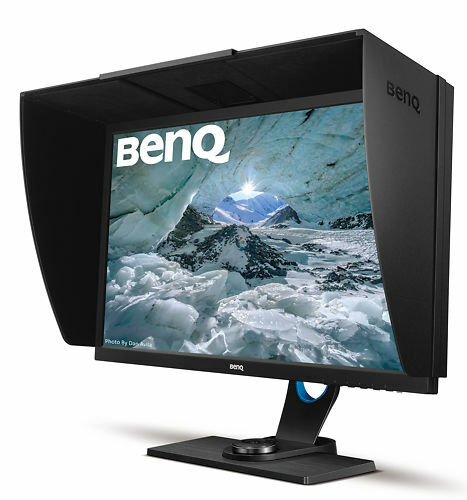 BenQ's new 31.5" 4K UHD monitor with wide colour gamut and direct hardware calibration. The big question of late is 4K or not 4K? Colour accurate 4K monitors remain generally very expensive and in practise 4K makes very little difference in the image editing context. Yes, your images render a bit more sharply on 4K screens, but this is of far less importance than colour accuracy. (4K is only slightly noticeable with full screen images - the only context you really notice it is with thumbnails and text rendering). Our advice is definitely buy a better colour accurate model before buying one with a lot of pixels. If you do really want the extra sharpness (e.g. you work in desktop publishing where it will have a lot of impact) - then the BenQ below provides good colour accuracy and performance for a very reasonable price. Of course if you do have the funds, then the 4K wide gamut hardware calibration options from Eizo are simply exquisite and as good as monitors get right now. The CG319X is, quite simply, the absolute best of the best right now. Towards 2018 we expect to begin seeing more affordable 4K colour accurate models. The first of these is the very aggressively priced BenQ SW271. We're hoping to also see a uniformity corrected PV model from them, and of course something from Eizo in the not too distant future...but if you're keen to get going with 4K the SW271 is a great new option! The ultimate in image quality - Ultra-HD 24" monitor with amazing pixel density for extremely sharp text and image details! While Eizo's CG monitors remain the king of the best-of-the-best, most people will find a model from Eizo's CS or BenQ's PV ranges a great choice for general imaging work. 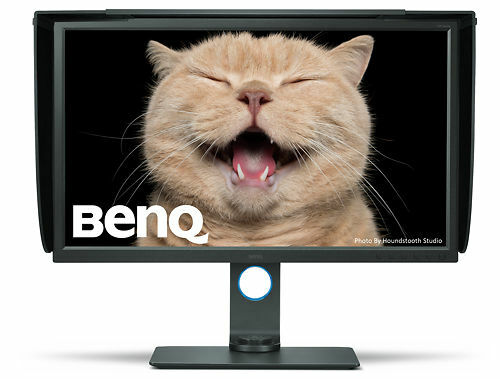 BenQs are priced very competitively. With BenQ you tend to lose just a little refinement in the screen itself – you get slightly lower quality neutrals, slightly less uniformity and the BenQ warranty (3 years) is not as long as Eizos (5 years). However, they still have excellent reliability (much better than general consumer brands), offer good uniformity, and excellent clarity. 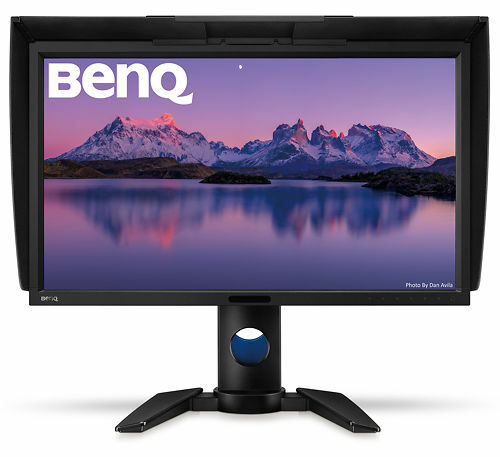 We strongly suggest adding a compatible calibrator and with BenQ PVs this really means i1Display Pro. We use a BenQ PV270 on our client machine at Image Science, where customer's check their colour before printing. It really is a remarkably good screen for the price (read a fuller evaluation here). 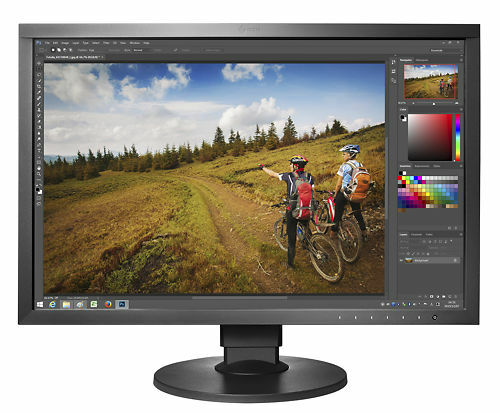 The Eizo CS models are their entry level ColorEdge models. They are very similar to the NEC PA and BenQ PV models but slightly more refined - most noticeable in deep shadows and the quality of neutral tones, and the extremely refined software for calibration. 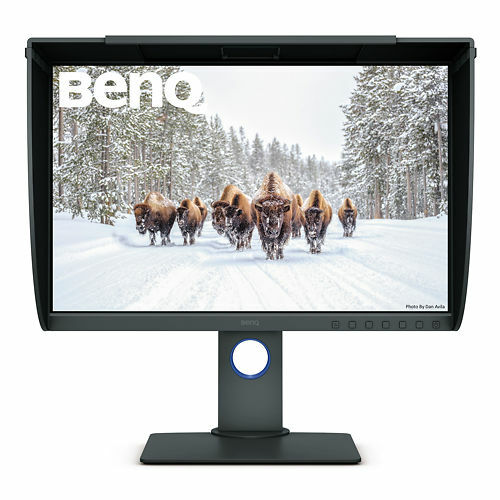 They come with Eizo's calibration software, ColorNavigator, included and with two years extra warranty over the BenQ/NECs, so they offer great value - you just need to add a calibrator and you've got everything you need. 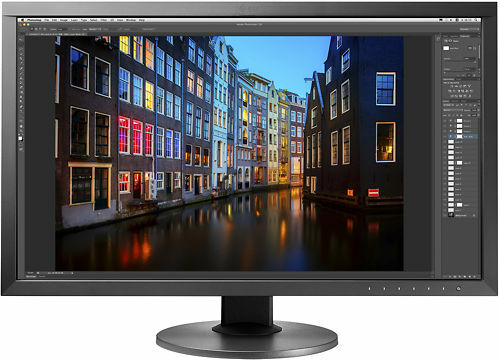 The very popular CS2420 - a perfect entry level professional 24" monitor with direct hardware calibration & a wide colour gamut! The next size up from the popular CS2420 - a great entry level wide gamut monitor featuring direct hardware calibration support. On a budget or just getting to that level where you want a significant improvement over your typical desktop monitors from office brands like Dell, Apple etc? BenQ's SW2700PT model is the hugely popular king of entry level colour accurate models - indeed calling it entry level is really a little unfair - as it offers all the features, and most of the performance, of much more expensive models. While it is not uniformity corrected like the PV270 model listed above, the panels used are very good, and this feature filled model is a real bargain and probably the most popular monitor bought by photo enthusiasts right now. There's also a great 32" 4K model if you're looking for a screen with real physical presence and all mod cons - big screens are a real pleasure to work on, and if you're looking to impress your friends and family, or sell bigger prints to your clients - 32" of BenQ SW320 has the WOW factor you're looking for! 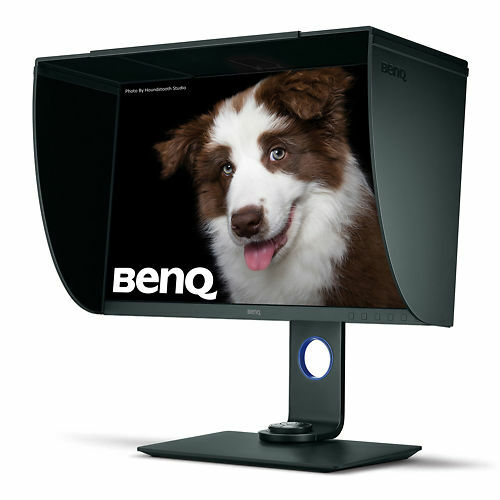 We're also expecting BenQ's very exciting new SW240 model to arrive around May 2018 - forecast to come in at only $699 - there will simply be no other monitor to touch this in terms of combination of quality, features and value. Whilst we don't have a final firm date yet, it's not far away now, as it will enter production in April thus should be available around May. We're taking expressions of interest now, so that we can secure orders from the first batch to enter the country - we expect supply to be limited initially, and for this to be an extremely popular model. Given the BenQ SW240's smaller size, and ridiculously low price, this model also makes a perfect cheaper option for your second monitor, or a dedicated monitor for tethered studio shooting or on location work. Read more and lodge your interest in this exciting new model here. 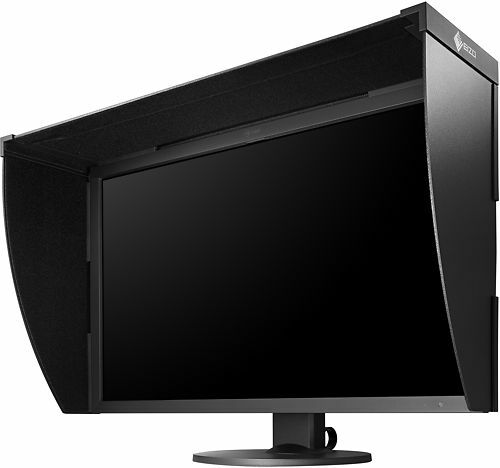 If you're looking more for a general purpose high quality monitor, then Eizo also have their EV range. Go for the BenQs if you're looking for photo models, but if you're just after a really excellent quality 'business graphics' monitor with great ergonomics, consider the Eizo EV models as well. These monitors are the first big step up from your standard computer monitors. And yes, overall they are a BIG step up from popular 'higher quality' models like Dell Ultra-Sharps and Apple Cinema Displays etc. These are simply a lot more accurate, respond better to calibration, and have better attention paid to ergonomics, particularly with respect to issues like eye fatigue. They also come with longer warranties and Eizo's general reputation for quality and support remains unmatched in the industry. The most affordable high quality colour accurate monitor on the market. Great accuracy, direct hardware calibration, even includes a hood! An affordable, but still high quality 27" colour accurate monitor. 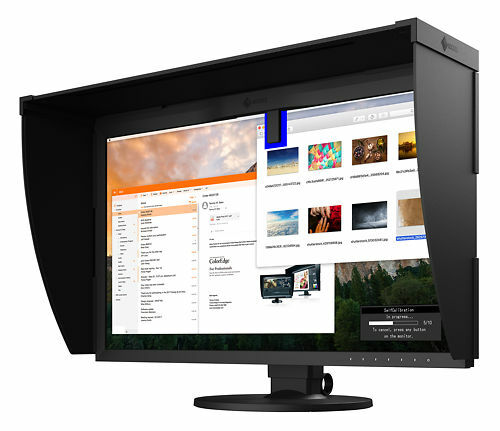 The EV2450 is Eizo's new, ultra slim bezel 24" monitor, the 16:9 baby brother to the EV2456.